The end of an thunderous journey is nigh, as Chapter 2: Lightning Strikes enters its final weeks. Before Chapter 3: Trial by Fire arrives, there are, however, plenty of Battlefield™ V happenings left in Lightning Strikes. Below, we’ll detail Chapter 2’s final Chapter Event, Unstoppable Force, and its two Weekly Challenges. 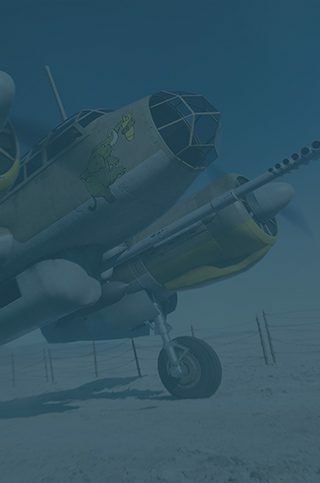 The Weekly Challenges contain some tasks related to Rush, the returning classic game mode, available in the Grand Operation Battle of Hannut and, for a limited time, as a standalone mode starting March 7. Take this chance to get acquainted with Rush and earn rewards while doing so. As you may know, a Weekly Challenge consists of several sub-tasks, leading up to a final challenge, which may grant you a special reward. You’re choosing your own adventure, picking tasks you enjoy and/or are skilled at. Completed tasks bring you closer to the final test and generate Chapter XP, which in turn means more rewards (our article on Chapter 2 progression explains this in detail). 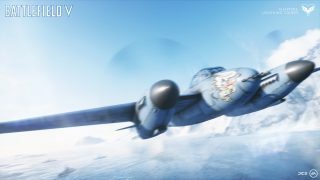 If you nail the final task in the first Weekly Challenge, you’ll be able traverse the battlefield at break-neck speeds, delivering serious destruction from above with the Mosquito FB Mk VI aircraft. Depending on how you specialize the Mk VI, you can make it into a true ground-attack vehicle. Go for the Tsetse configuration and mount a six-pounder anti-tank cannon in the fuselage or, for a more traditional approach, mount rockets and bombs to increase your ground attack potential. You’ll be the fastest plane in the sky, but you won’t be able to dogfight as well as a dedicated fighter. First things first, though. Let’s go through the tasks at hand. What a Rush: Play a round of Rush. Welcome to Rush! In this mode, attackers need to arm two bombs before their respawn tickets run out. Defenders need to do whatever they can to stop the pesky saboteurs. Complete one round of Rush to complete the first task. You can play it either as a standalone mode on Twisted Steel, Narvik, and Devastation or as part of the Grand Operation Battle of Hannut. Defeating enemy soldiers has many other benefits beyond the ego boost of a sweet k/d ratio. It’s the primary objective of Team Deathmatch, and it will contribute to the main task of bleeding the enemy respawn ticket count in modes like Conquest and Breakthrough. Battlefield V offers many ways to skin a Katze, so pelt your enemies with bullets, grenades, and shells and prepare for the next task. Forlorn Hope: Kill five enemies in one life. This task will test your offensive capabilities and, more crucially, your survival skills. Distance is key; enemies need to be further away, revivers need to be close. Mid- and long-range fights, and thereby deploying as the Support or Recon class, is a good idea. If you want to avoid close-quarter surprises, take the fight to an open map like Hamada. Keep an eye on your health bar and don’t forget to use your Medical Pouch. Demolitions Specialist: Arm or disarm four objectives in Rush, Frontlines, or Airborne. Some modes consist of (or culminate in) explosions of key military hardware. Rush, Frontlines, and Airborne all have explosive phases. Locate explosives on the minimap, and head for the objectives that need to go boom. Attempting this, you’ll be the priority target for the enemies, so bring some friends. Big Guns Never Tire: As a squad, call in Sector Artillery or Smoke Barrage Reinforcements five times. Recently, two Reinforcements were added to Battlefield V. Squad leaders can now spend Requisition Points to call in sector artillery and smoke barrages. Use these five times to smash groups of enemies or to cover you own advance on an objective. Guardian Angel: Revive 20 teammates. Rescue your teammates and give them a chance to return the favor. Support, Assault, and Recon class players can revive members of their squads, but Medics can bring any teammate back to life – and they do it fast. For an even swifter approach, choose the Combat Role Field Medic, and you’ll sprint faster when calling out to a downed friendly soldier (this is done by hitting the danger ping button on those in need). Aegis: Deal 800 damage using stationary weapons. FlaK 38, PaK 40, the QF 6 pdr, and other hard-hitting weapon types can be great counters to both enemy infantry and vehicles. Seek them out on the battlefield, or build some of your own with the Support Class, and deliver damage. There are several stationary weapon positions scattered by the swamps of Twisted Steel’s D flag, and you could also give enemy aircraft hell from below with the AA guns on Fjell 652. Adrenaline Junkie: Score 25,000 points in Rush. Before jumping into the cockpit of your well-earned Mosquito FB Mk VI, you need to show your skills in Rush. To reach 25K points efficiently, know the best strategies for both attackers and defenders. Pushing together is key to victory when attacking; trickling in alone or hanging back in the distance won’t be beneficial. As a defender, utilize both pre-built and buildable Fortifications – in Rush, they’re designed specifically for the heavy pounding attackers bring in the mode. Our freshly published article on Rush has even more great tips on strategies broken out for each map. 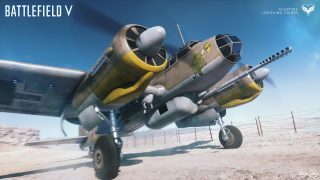 In Weekly Challenge #2, you can unlock the Ju-88C airplane. Similar to the Mosquito FB Mk VI, the Ju-88C allows you to specialize to become a dedicated anti-tank ground attacker, mounting a ventral 75mm cannon for destroying enemy armor. However, you also have the choices of equipping Butterfly Bombs: nasty little bomblets that descend slowly and can be used to suppress and hurt enemy infantry in a large area. These mines should be especially useful in assisting friendly ground troops in taking and defending objectives or choke points, where enemies are well dug in. Fire for Effect: Kill or assist in killing five enemies. There’s a bunch of ways to complete this – so why not try something new? Utilize the arsenal of a class you normally don’t play, explore different gadgets, jump into a plane or a tank, go for a cheeky melee attack, or call in a lethal Reinforcement. The sky’s the limit! Puffball: Deploy smoke five times. Relying on a cloud of smoke may not be as safe as hiding behind something solid, but preventing the enemy from seeing you can solve many sticky situations. Deploying smoke is crucial for Medics, but the technique can also be utilized by the Recon class and many vehicles. Dirty Work: Score 2,500 points as Medic or Support. Don't underestimate the Medic or Support classes. Deploying crates, ammunition, or bandages as well as reviving teammates and building Fortifications are just as important as a high kill count – and it will earn you points! Glory Hounds: Score 2,500 points as Assault or Recon. The Assault class is the tip of the spear for your team. The Recon class is its counterpart, staying further away from the action, spotting and sniping targets. Choose your favorite or deploy as both and earn points through battle. Firebug: Arm an objective in Rush, Airborne, or Frontlines. Being the bomb-planting hero of an attacking team is always a thrilling experience. You won’t get far without the support of a team playing the objective, though. Make sure your way is cleared and your back is covered before delivering the explosives. No need to worry if it gets defused, at least not for completing this task. Motor Pool: As a squad, request five Reinforcement vehicles. Come prepared. When enough Requisition Points have been earned, a squad leader can call in an extra vehicle and help break through well-defended enemy positions. Order a Churchill Crocodile, Sturmtiger, or any other Reinforcement vehicle five times and this one’s in the bag. Nerves of Steel: Defuse three objectives. Cut the red, white, or blue wire? Actually, you only need to press the interaction button for a while to defuse explosives in Battlefield V – but that’s equally nerve-wrecking. If you’re defending in the aforementioned modes featuring explosives, you can save the day and swing an entire match by this disarming feat. Spearhead: Deal 500 damage while in a vehicle. Vehicles have the firepower necessary to break down enemy defenses that regular weapons can only bruise. They work very well on enemies, too. You can reach the 500 regardless of if you’re firing at foes, foxholes, or Flak 38s. Bring it Down: Deal 250 damage to vehicles. Vehicles are powerful – but not invincible. Stationary cannons and anti-tank mines usually do the trick when taking down enemy armor. Explore your gadgets, especially those of the Assault and Support class, and attack. Or, fight tank fire with tank fire, perhaps with the help of our tips on vehicle combat. Accomplished Arsonist: Destroy two objectives in Rush, Airborne, or Frontlines. Until it explodes, your job is not done. Arm objectives and prevent the enemy from disrupting your glorious plan. Make sure to guard the soon-to-be-detonated area after arming, and you may pick up some easy kills, too. Thick as Thieves: Revive or resupply squad mates 25 times. Equipped with syringes and ammo crates, Medic and Support are your go-to classes for this task. Keep an eye out for icons above squad mates running low on ammo and, well, life. Resupplying ammo is a relatively safe procedure since it can be done between firefights, but reviving is often done in hostile territory. Assess the situation before rushing towards your fallen comrades. A-Team: As a squad, get 200 kills or squad assists. Working together as a squad brings more impressive results than you may have imagined. Nabbing 200 respawn tickets from the enemy team may sound hefty, but four people working together will make the dream work. Communicate, stay together, and coordinate your attacks and you’ll reach the magic number – and your Ju-88C reward – in no time. We hope you’ve enjoyed the Chapter 2 missions and that you’ve unlocked a ton of great gear to take with you to Chapter 3: Trial by Fire. We look forward to the future evolution of Battlefield V and hope you are equally excited. Rest assured, there will be many new Weekly Challenges and rewards for you to take on. *CONDITIONS, LIMITATIONS AND EXCLUSIONS APPLY. SEE ea.com/en-au/ea-access/terms AND origin.com/store/origin-access/terms FOR DETAILS.